This piece was originally published by Milbank Quarterly. On the day after the horrific shooting that claimed the lives of 17 students at Stoneman Douglas High School in Parkland, Florida, the local state representative predicted what would happen next. And yet—within a few short days, something changed. Not the facts about the tragedy, but the perception of the problem. A wave of advocacy by high school students has created intense pressure on politicians who have avoided taking on the gun lobby and opened a national debate on what’s needed to prevent mass shootings in the United States. More than a dozen businesses have broken off ties with the National Rifle Association, the pro-gun Florida governor backed a package of gun control measures, and even President Trump began to consider ideas previously ruled off the table. It’s true that many of these proposals fall short of what’s needed to reduce the deadly toll of gun violence in the United States, and as of this writing, it is not clear how far the ripples from Florida will spread. But in just a week, the conventional wisdom that gun control measures are politically impossible has been upended. As in economics and political science, much of the thinking in public health takes place within a set of assumptions that what has happened before will happen again. The usual approach to population health starts with needs assessment, coalition building, and strategic planning. And yet the broad sweep of history indicates that moments of high stress can create unexpected openings for change. History indicates that moments of high stress can create unexpected openings for change. It was, after all, deaths from tainted elixir sulfanilamide that directly led to the Food, Drug, and Cosmetic Act of 1938, the world’s first law requiring medications to be shown to be safe prior to sale. Then, in 1961, the thalidomide disaster spurred legislation requiring “adequate and well-controlled studies” prior to approval of medications. Major legislation on device regulation, food safety, emergency preparedness, HIV/AIDS, and vaccines for children each followed crises that galvanized national attention. There are three key lessons from this history. First, the social and political response to a crisis does not directly correlate with the scale of illness or death. Thalidomide caused just a few serious birth defects in the United States, compared to an estimated 10,000 in Germany; yet while Germany was mired in litigation for years, it was the United States that first passed the strong laws on drug development. The Las Vegas shooting in October caused 58 deaths and more than 800 injuries, and the Pulse shooting in Orlando claimed the lives of 49 people with more than 50 injuries, without much of a movement for policy change in their wake. In his 1969 book Crisis in Foreign Policy, Charles Hermann defined a crisis as having three attributes: a threat, a short decision time, and surprise. Arjen Boin and his colleagues described crisis as “a serious threat to the basic structures or the fundamental values and norms of a system, which under time pressure and highly uncertain circumstances necessitates making vital decisions.” And Dominic Elliott and Elliott Smith have noted that “[a] defining characteristic of crisis lies in its symbolism.” Together, these definitions make clear that the core part of crisis is a perception that the legitimacy of those in power depends on what happens next. 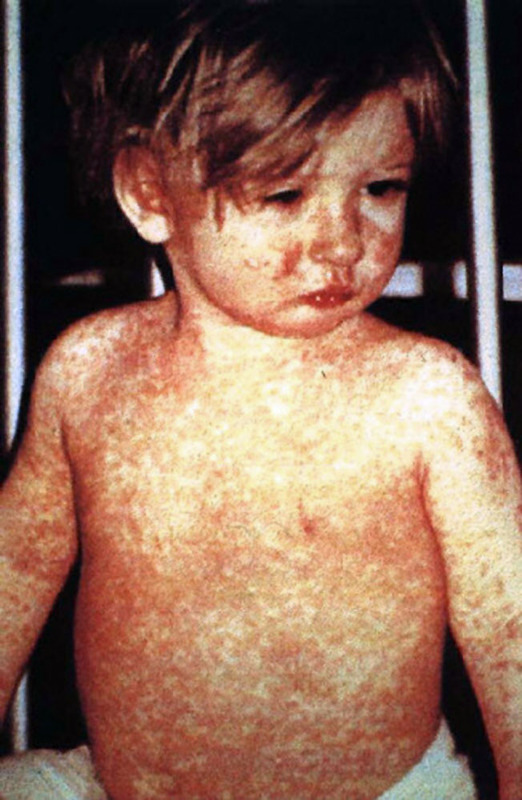 Image credit: “Measles. This child shows a classic day-4 rash with measles.” by CDC/NIP/Barbara Rice. Public Domain via Wikimedia Commons. Second, preparation matters. If, as Louis Pasteur famously said, chance favors the prepared mind, then crisis favors the prepared organization. In 1937, the FDA responded rapidly to the sulfanilamide poisoning, emptying its offices to send inspectors across the country to recover unused medicine. The nation then listened to the agency’s case for what was needed to prevent future tragedies. In the early 1990s, the Centers for Disease Control and Prevention and legislators, led by Congressman Henry A. Waxman, responded to a national measles outbreak and developed the Vaccines for Children program—an initiative that has since protected millions of children from preventable disease. More recently, the Disneyland outbreak of measles opened a door for state Senator Richard Pan, a physician, and colleagues to pass legislation closing loopholes in vaccination requirements in California. Today, those working for population health improvement should develop “in case of emergency, break glass” plans for jumping into crisis situations, helping to resolve the immediate issues, and then pivoting quickly to make the case for policies that can address underlying problems. These plans should be based on solid data and a credible understanding of the issues at stake. Third, awakening a sense of crisis requires a lot more than throwing around the word crisis. There’s a danger for health officials in being seen as “Chicken Littles,” always claiming the sky is falling and imploring others to act. Declaring crises constantly can distract from the critical work of implementing effective programs and, in a worst-case scenario, encourage politicians to announce minimal steps to win credit in the media and with the public that have little effect on fundamental gaps. And yet—a crisis can lead to real change and improved health, ending many years if not decades of frustration. Those health leaders who manage crises effectively can earn a chance to push the policy process in unforseen directions. But those who avoid crisis leadership are leaving one of their most important tools back in the toolbox. In showing that the ground can shift in the politics of health at a moment’s notice, the Parkland students have become the teachers. Featured Image Credit: “Secretary Johnson pays Respect at Pulse Nightclub” by US Department of Homeland Security. Public Domain via Wikimedia Commons. Joshua M. Sharfstein, MD, is Associate Dean for Public Health Practice and Training and Professor of the Practice at the Johns Hopkins Bloomberg School of Public Health. A pediatrician, he previously served as the Health Commissioner of Baltimore City, the Principal Deputy Commissioner of the U.S. Food and Drug Administration, and the Health Secretary of the State of Maryland. 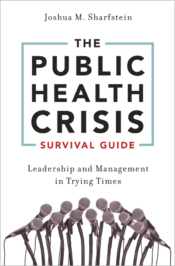 His book, The Public Health Crisis Survival Guide, is available in print. Follow him on Twitter @drJoshS.